Wua Lai walking street, chilling out in town with urban culture. Relieve your stress out, and gotta keep it cool at Wua Lai walking street. 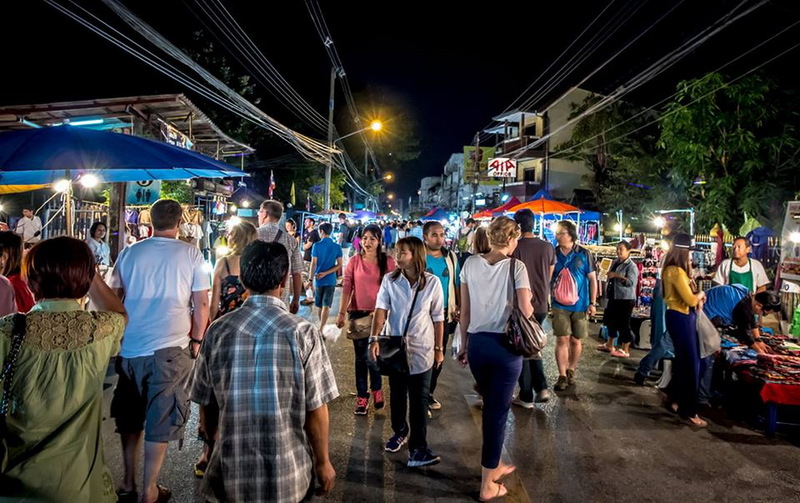 Have you ever know Chiang Mai is has most famous walking street in Thailand? 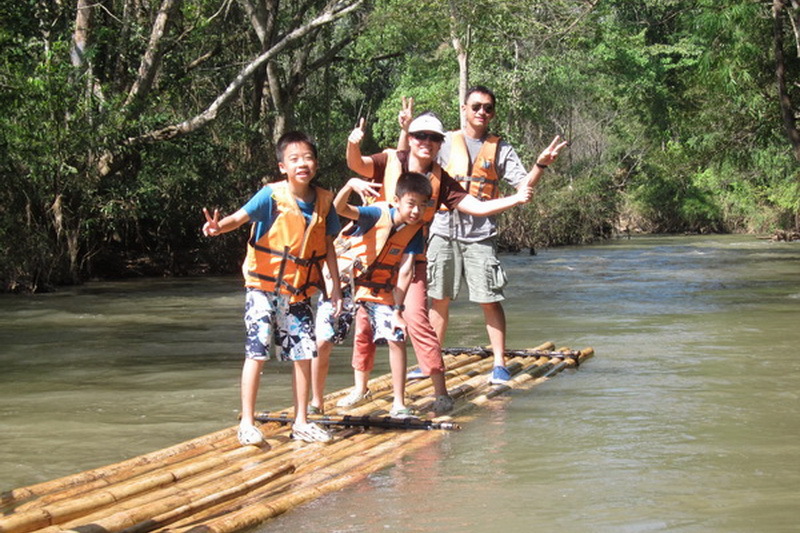 Chiang Mai always provides the wonderful in difference theme of almost all week. Wua Lai walking street or Saturday walking street is the wonderful one in Chiang Mai. Begin to know how happiness you can taking there, Wua Lai walking street, a little space for your chilling life on Saturday night. 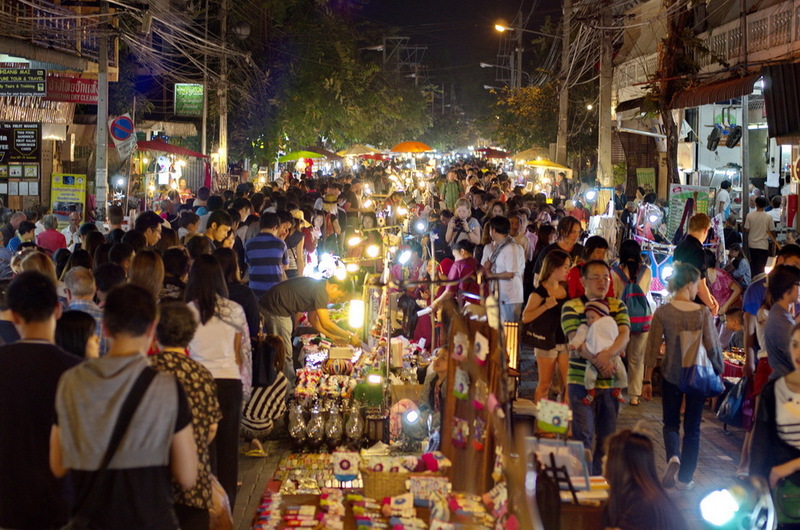 The Wua Lai walking street or Saturday walking street is one of the most famous walking street in Northern of Thailand. This most visited walking street is open on Saturday from 5 P.M. to 10 P.M. (the most visited time is 7:00 P.M. to 9:00 P.M.) Our Wua Lai walking street is ready to serve the happiness to the visitor with entire distance of the Wua Lia road for 1.1 Kilometer. For the Wua Lai walking street time, all vehicle is not allowed to pass away anyway. When you reaching to the Wua Lai walking street, you will see there are many interesting products for tourist. The product is included both modern, handmade, and also native product. You need not to be worry with the price of product and food in this Wua Lai Saturday walking street. I ensure that the cost of everything in this Saturday walking street is always be friendly price for every visitor both Thai and foreigner. The native product is always found as cloth, bags, blanket, carpet, and etc. 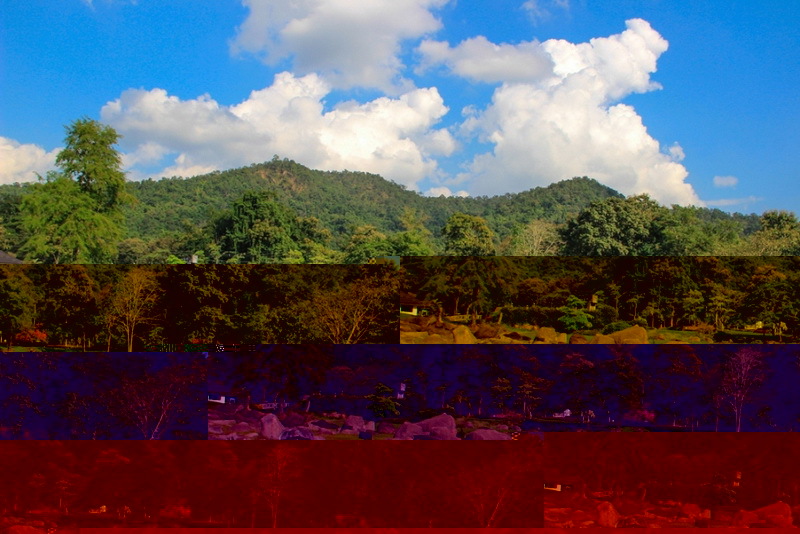 in painted of Chiang Mai or northern living landscape which you have ever seen before. One more interesting as same as the native product of Chiang Mai is, the Chiang Mai handmade product. 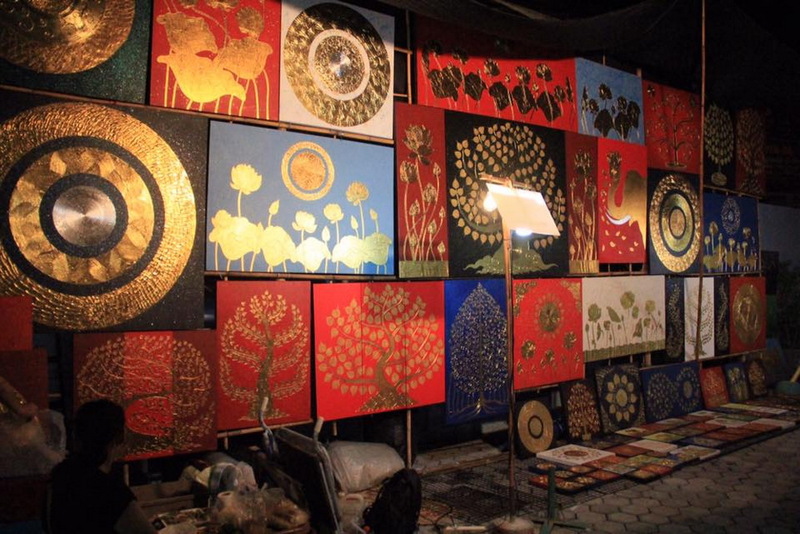 The handmade is around the Wua Lai walking street but the popular one is the special Sorong in Lhan-Na style which popular in the past for Northern woman. Moreover interesting, is headband, grass holder and the comp which made of wood in Lhan-Na or historical northern of Thailand style. Also, handmade doll is popular for all age visitor too. In my recommendation for the doll, you need to visit the “Lazy Bear” a little shop always sell the lovely handmade doll in this happiness Wua Lai walking street. This Lazy Bear always produce the soft touch of every doll in many types such as normal doll and doll key chain with free nametag suture for free 8 alphabets in friendly price. In exactly confirm, the price for each doll is not over than 200 baht anyway. One more interesting product is silverware, this Wua Lai walking street has one of famous silverware shop. There is a Ban Yen shop, the silverware shop which always sell the quality silverware to everyone in friendly price. For the recommendation product in Ban Yen shop as I have listened is picture frame, utensil, and other common used. If you are one of the wine drinker, the Wua Lai walking street will be the little restful heaven for you. 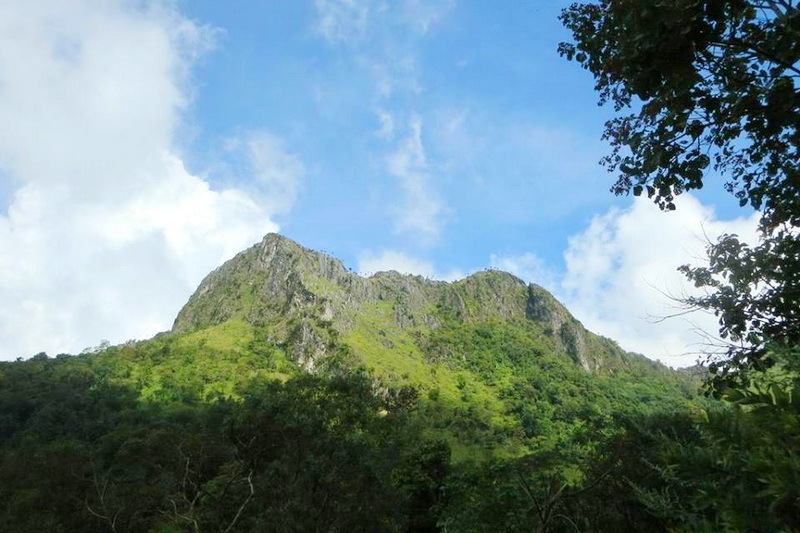 You can see many OTOP wine which combine of local fruits such as lychee, strawberry, and etc. In my first mention, I thought this wine may have a not good taste, but I am wrong. After I have tried at once, this OTOP wine is quite good taste. I have seen many foreigner visitors try it in good face anyway. I confirm as bartender, this wine is easy to drink in friendly price and has a good taste more than some import wine which you have seen in super market. In my recommendation, you need to taste that one because it have a quite good taste which you cannot try in others town. The wonderful thing which you can see, is the native entertainment which along to the Wua Lai walking street, the wonderful one as my recommendation is the “Pra-San-Mitr” band. This band always use the handmade instrument with Thai and Worldwide instrument to play a music. That gimmick of this brand is always can showing of the happiness face from both Thai and foreigner audience. Moreover, this Wua Lai walking street is one of the most popular in the portrait drawing of person in Chiang Mai. In my first time visited, I have seen many tourists both Thai and foreigner take a quite long queue to get that one portrait drawing. 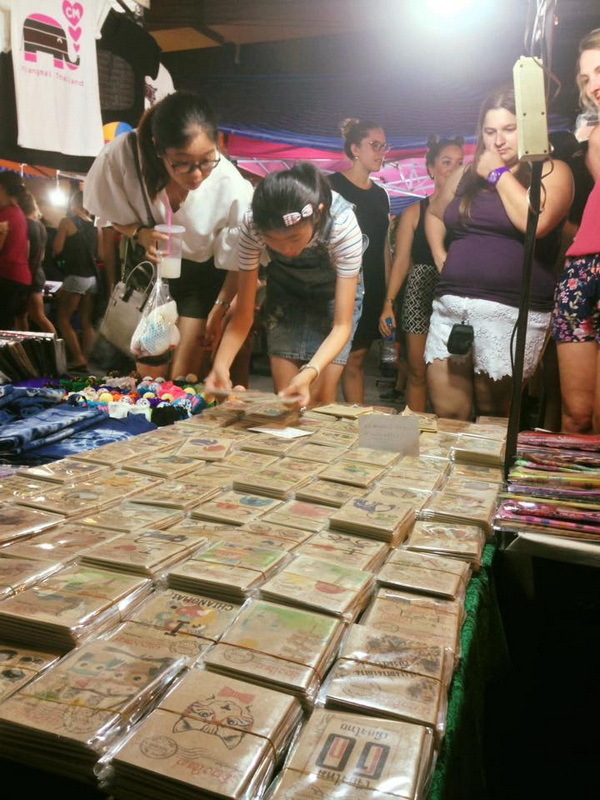 If you find out for the souvenir, the mulberry paper lamp is a good choice because it so beautiful with northern style which you cannot find out in the other side of Thailand. In my summary, Wua Lai walking street is one of a good choice for taking in easy with never worry with the overclaim price in your Saturday night. You can enjoy with shopping with many quality products, and food such as handmade product, silverware, and good taste of the OTOP wine. Let’s enjoy your life in beautiful night at here Wua Lai walking street, the best restful place in simply which I recommend you to try at one. 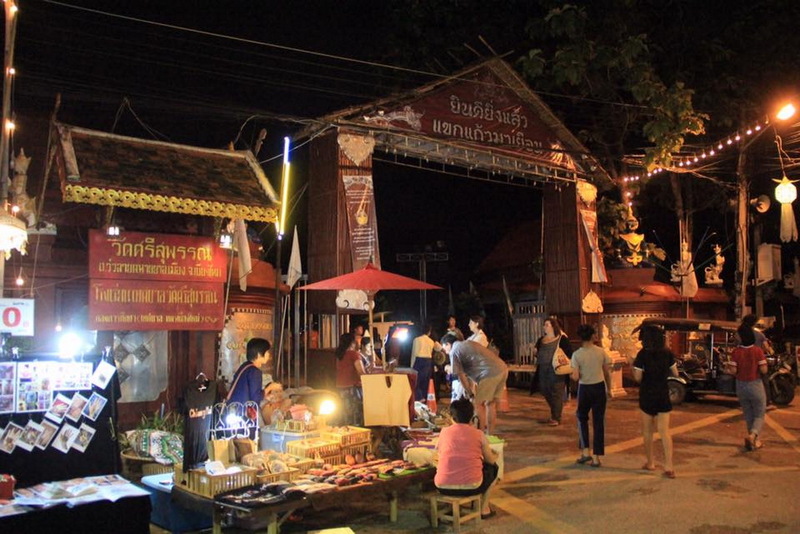 The Wua Lai walking street or Saturday walking street is open near the Chiang Mai gate. You can start in reach the point in many ways because our Wua Lai walking street is placed quite central city. For my 1 visited, I start to find out the Chiang Mai gate. Then let turn back to the Chiang Mai gate. 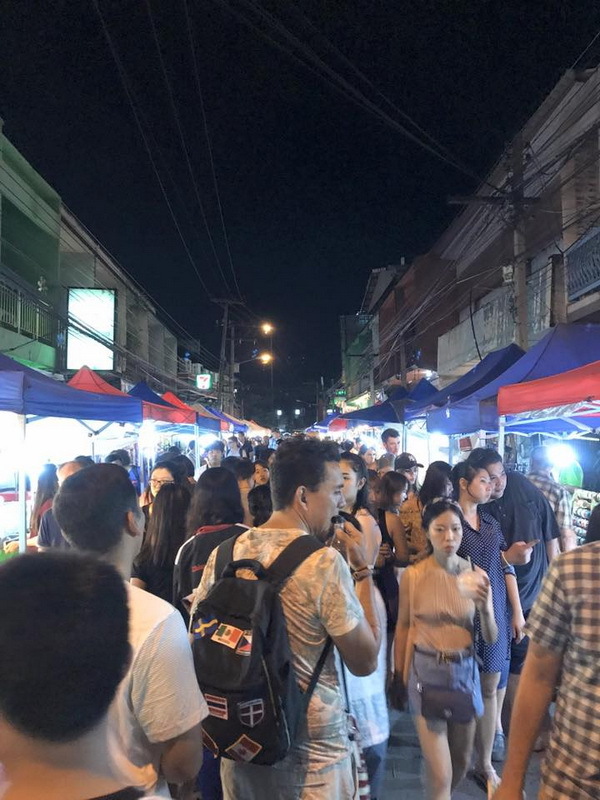 After that, cross the road to the Chiang Mai gate market and move straight on the right a little bit, you will reach to our grateful Saturday walking street, the Wua Lai walking street. Moreover, you can take a red minibus. If start from the airport the rate price is around 30 to 40 baht. But, if you start from the Chiang Mai central transportation is will be 50 Baht. 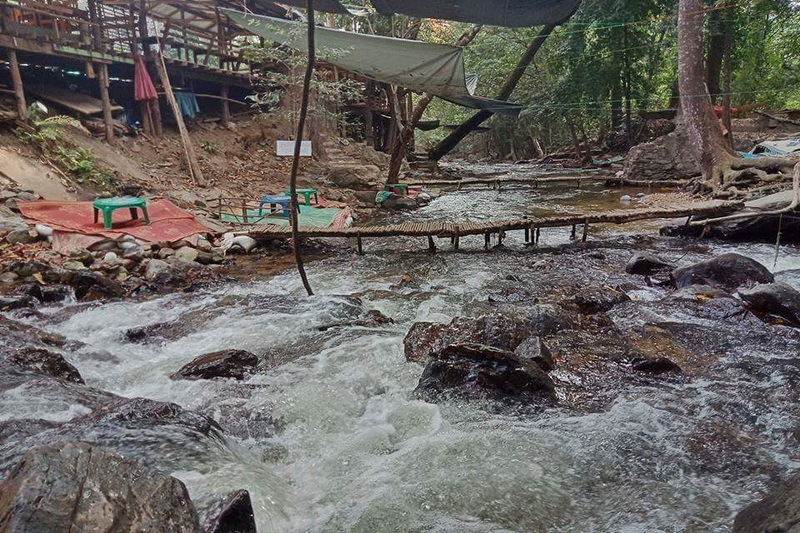 The last option to reach to our Wua Lai walking street is, taking a B2 bus the rate price will be 15 baht from the airport and 15 baht from the Chiang Mai central transportation.